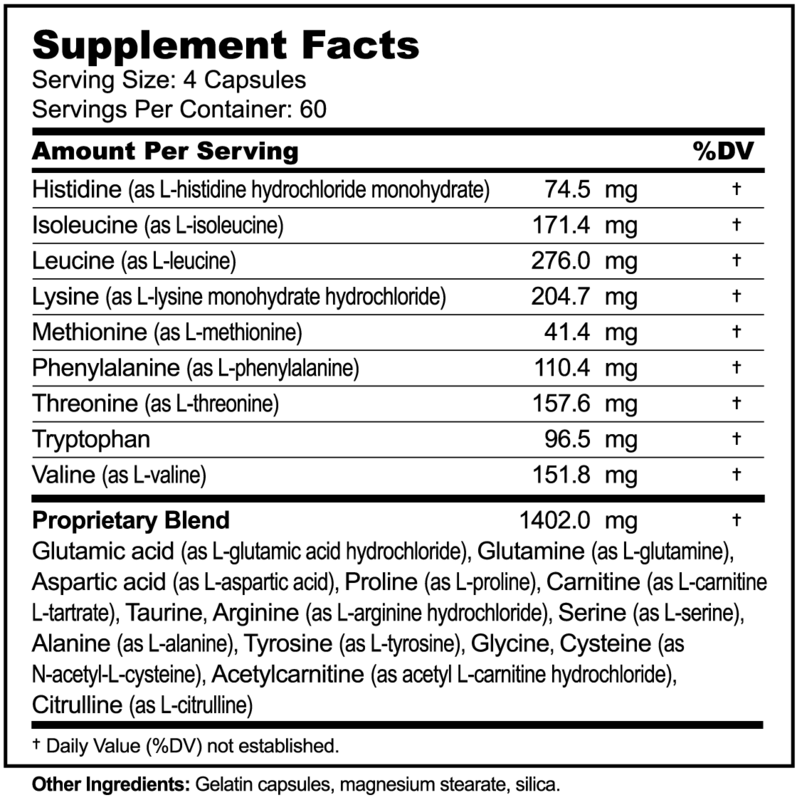 What makes Balanced Free-form Aminos unique from other amino acid supplements? Balance: Our proprietary amino blend is based on the unique amino acid profile of human milk, which is remarkably similar around the world regardless of a mother’s diet or race. We believe this is a key reason why individuals have reported such significant benefits from taking our specially balanced amino acid formula. Nature knows best! Form: Pure ‘free-form’ amino acids need no digestion. They are quickly absorbed into the bloodstream and immediately available to be used for many metabolic functions—from neurotransmitter and hormone balance to tissue healing, detox, and immunity. Many people also report that free-form aminos help ease over-medication and drug withdrawal effects. We’re confident you won’t find another product with the same unique balance and form of ingredients for even close to the same price! How are ‘free-form’ amino acids different from protein supplements? Proteins consist of a long, complex ‘string’ of amino acids—all connected together. Proteins are like a bead necklace. Each bead on the necklace represents an individual amino acid on the ‘string’. When we eat proteins, our bodies need to break up the ‘string’ (by digestion) so that the individual amino acids can be utilized by our bodies. ‘Free-form’ amino acids, on the other hand, are already separate; they aren’t joined together with any other amino acids in a protein ‘string’. This allows the individual amino acids to be instantly absorbed and used by the body—without digestion. Our bodies then take these individual amino acids and use them as ‘building blocks’ for making millions of specialized proteins, which are vital for virtually every body function. Take 4 capsules twice daily between meals. At the recommended adult dose (8 capsules/day), a bottle of Balanced Free-form Aminos lasts 30 days. For information on how Balanced Free-form Aminos is used in conjunction with Daily Essential Nutrients, see Possible Limiting Factors in the Daily Essential Nutrients Clinical Reference for Healthcare Professionals.